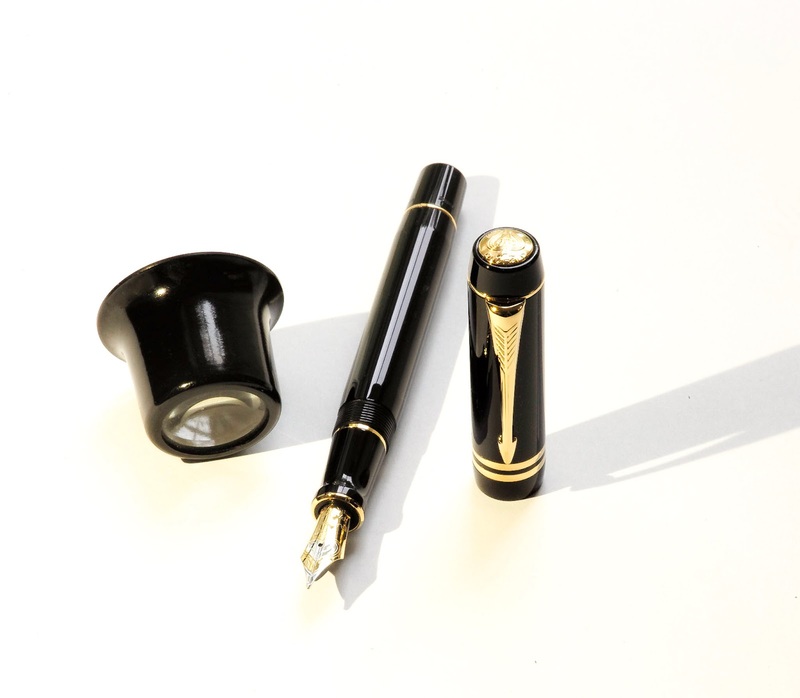 Parker Duofold Fountain Pen - Black with the Gold. 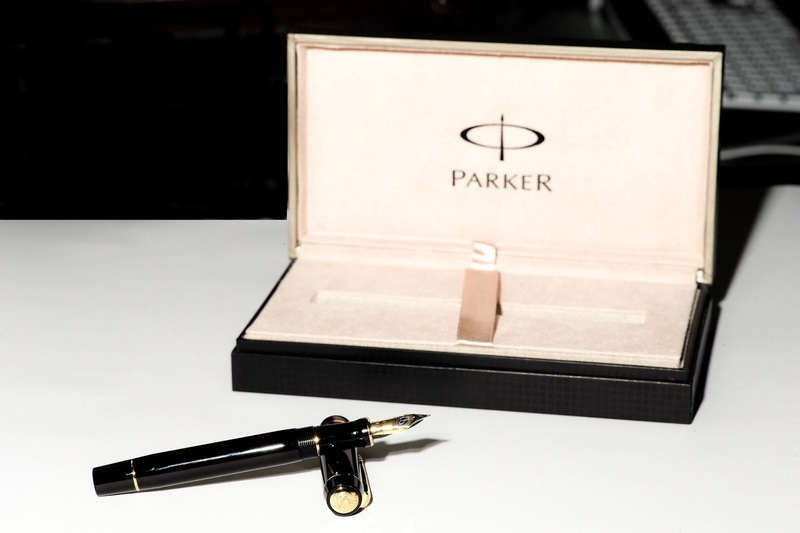 ONCE AGAIN I would like the thank Leena and her wonderful staff for suggesting the Parker Duofold. It’s a wonderful pen! 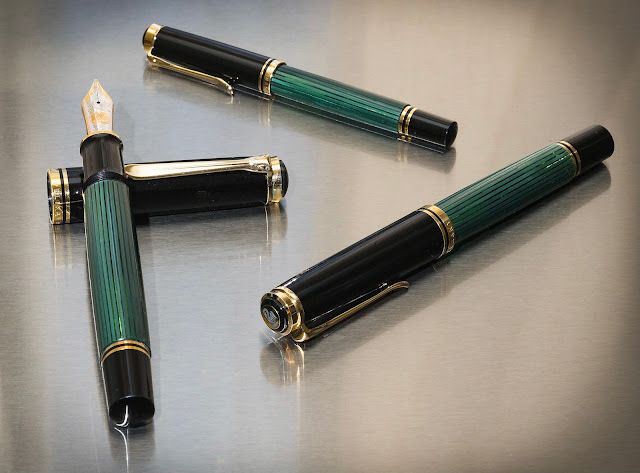 I did some quick research on the web and was surprised to see that the Parker Pen company first debuted the Duofold, their flagship pen, back in 1925; and in a few years that pen will celebrate it’s Centennial, a pen that Parker continues to successfully sell. I chose my very own Duofold in the classic colors of Gloss Black Resin with 18 kt Gold trim, a stunning combination. I wasn’t sure at first if this large pen might be too big for my hand, but thanks to Parker’s many years of ergonomic design and refinements, this pen fits the contours of my hand perfectly! I’m totally delighted with it. I thought others might be interested in my first thoughts on it so I am writing this short review. I might be a little old school, but I love to write in general, and this Parker Duofold Fountain pen instills that love even more. 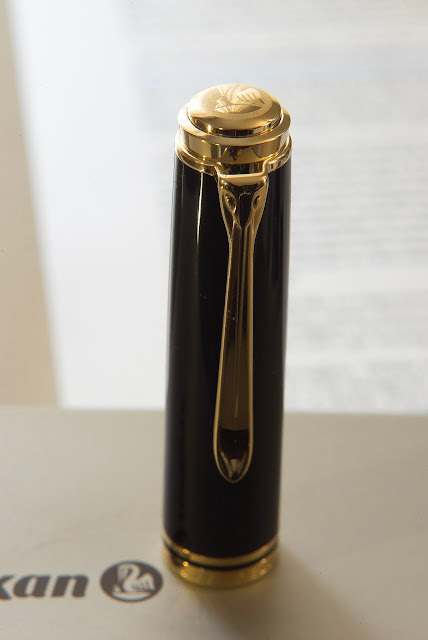 This is a large pen, almost 5 ½ inches (140 mm) in length, when capped. But large, doesn’t mean unwieldy. In fact, it felt perfectly balanced, with or without the cap, depending on your personal preference. 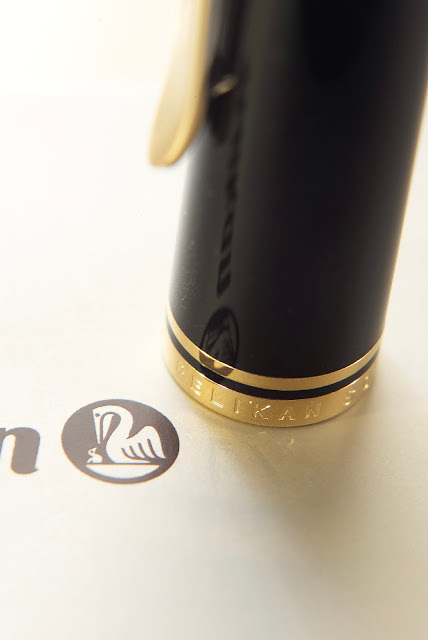 The pen is packaged in a wonderful large outer box with an inner black patterned clamshell jewel-box, which includes: black ink cartridges, directions, and warranty, all in a cream suede interior. 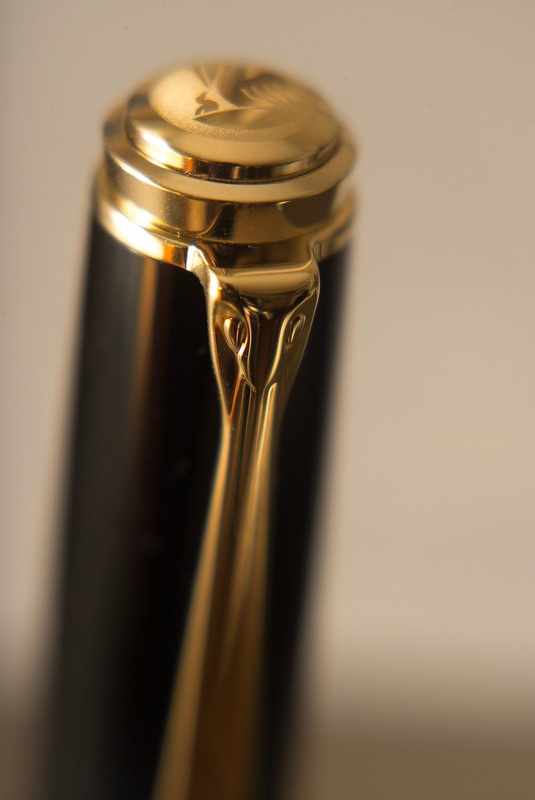 The nib is of the highest quality workmanship, with an Ace of Spade design etched into the 18kt gold and silver metals. 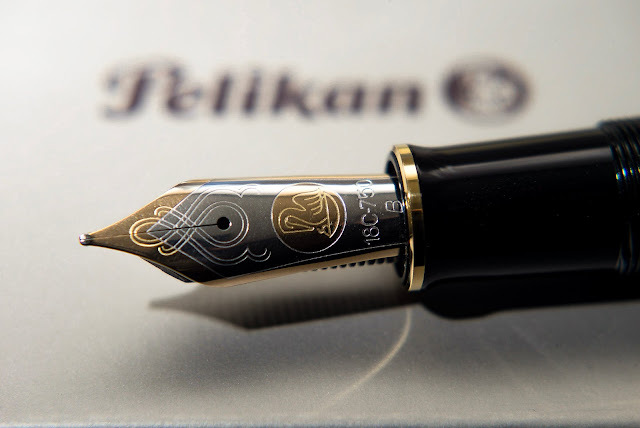 The medium nib is flexible and very responsive. 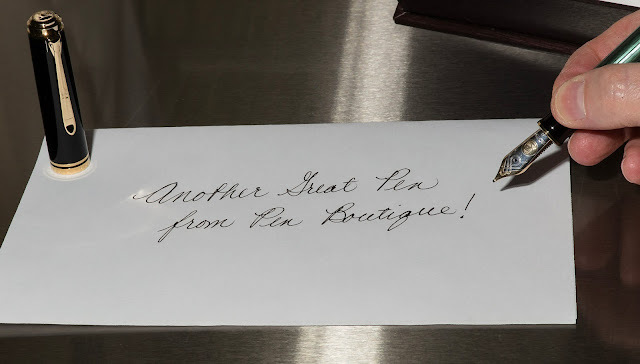 Pen Boutique sells several different nib sizes from broad to fine, and specialty nibs can be attained as well (Italics, Stub, and Oblique’s) with a special order. I filled my pen, using the included bottle ink converter. It wrote on the first stroke. The ink flow was just right for me, not too wet or too dry. 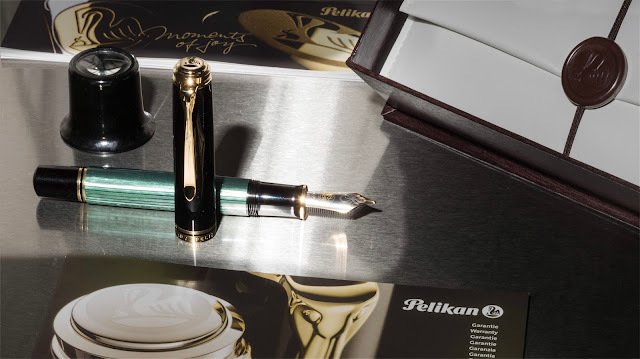 The pen felt perfect and I found I could write with it for a long time without fatigue. 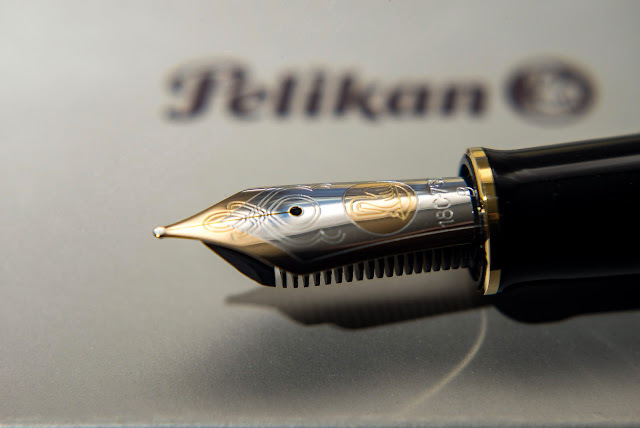 While the price of this pen is higher than some others, it’s definitely value for money. It is well designed, very durable, has good balance, and great feel in the hand. 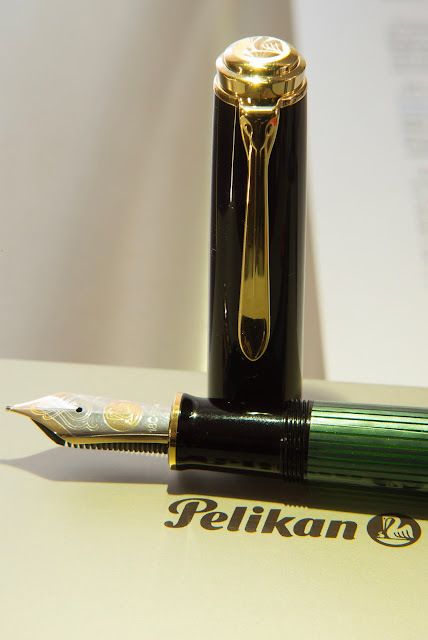 This is a special pen, a classic that is almost 100 years old, but still very modern and stylish in its own unique way. I imagine it would also make a very special present to a deserving graduate or perhaps for a birthday or other occasion. I would say there is only one other pen that Leena sells that might surpass this pen and that would be the very conservative MontBlanc Diplomat 149 in the same Black and Gold, but no other pen comes close! I think it makes for a very fine writing experience.